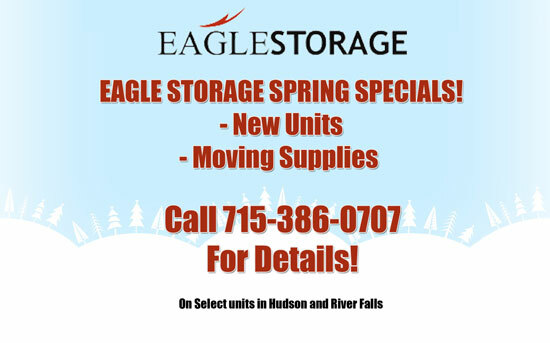 Eagle Storage has three locations: Hudson, Somerset and River Falls Wisconsin. We are an owner-operator facility, which means when you call us, you're talking to an owner. We strive for great customer service and quality facilities at reasonable rates. Your satisfaction is very important to us because we rely on word of mouth and referrals. When you call us you are talking to the owners of the mini-storage we have lower operating costs than the big companies so we have better pricing than our competition. Call to talk to the owners today to get your unit for tomorrow.